Main Navigation Current Page: Looking for Halloween Fun? 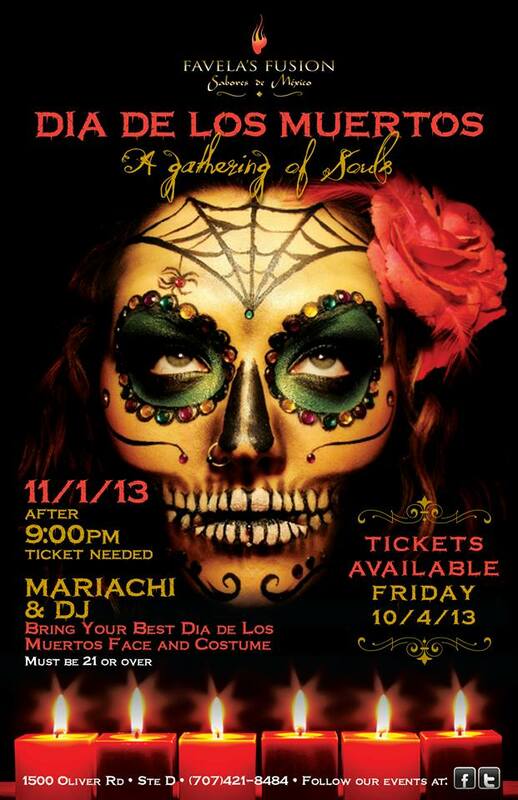 Join Favela's annual Dia de los Muertos party Friday night! Looking for Halloween Fun? Join Favela&#039;s annual Dia de los Muertos party Friday night! Looking for Halloween Fun? Join Favela's annual Dia de los Muertos party Friday night! We have a limited number of tickets still available for our annual Dia de los Muertos party Friday night! Our MOST thrilling party of the year is a MUST for Favela's Fusion lovers! It's a Gathering of Souls, where everyone brings their best Dia de los Muertos faces and costumes for this exciting night! We are featuring plenty of drink and food specials, entertainment and as always a DJ to get the crowd moving! Remember we are strictly 21 and over after 9pm and a ticket is REQUIRED.